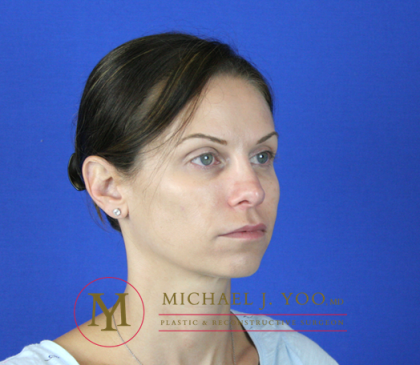 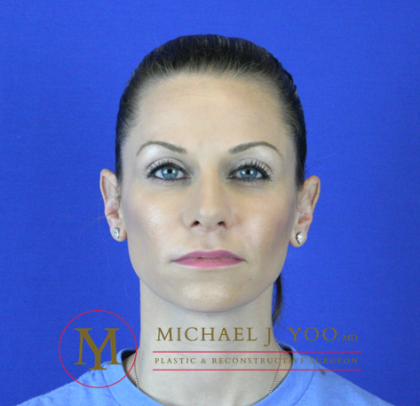 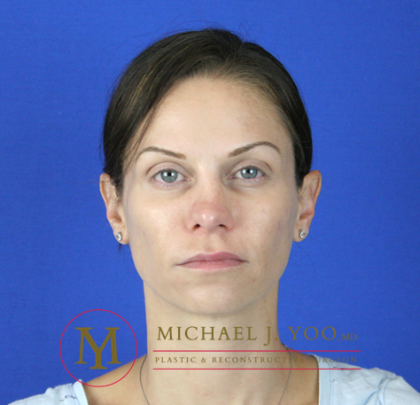 This pleasant young female came to Dr. Michael J. Yoo after 3 prior rhinoplasties by another Plastic Surgeon left her with a poorly defined nasal tip, overresected dorsum, and a twisted middle vault. 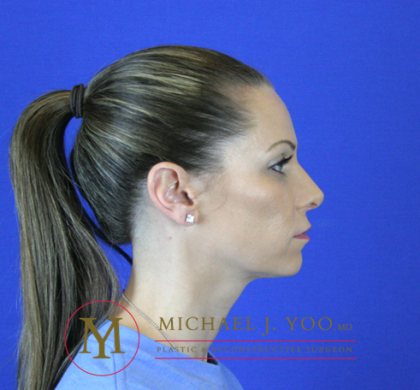 A complex Revision Rhinoplasty procedure using the patient's own rib cartilage was performed to restore structure to her nose and bring balance to her central face. 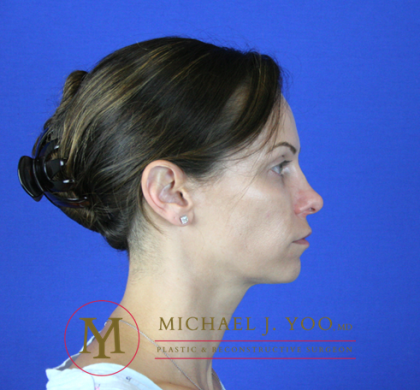 Dr. Michael J. Yoo, MD is a Double Board Certified Plastic Surgeon, with a unique background that includes Board Certification in Otolaryngology - Head & Neck Surgery.